The Soviet top secret Project 705 is still prompting heated debate: the question remains open whether the superfast elusive Cold War-era Lira-class submarine or its successor will ever enter service again. The Soviet Type 705 Lira (Alfa in NATO’s classification) attack submarine is still causing quite a stir in the West although all Lira-class vessels have been out of service since the mid-1990s. A February interview given by an unnamed Russian defense industry source to Lenta.ru and quoted by Sputnik immediately evoked memories of the Cold War-era innovative underwater craft in Western media. “We spent twenty years using the Lira (Project 705) subs during the 1970s through 1990s… It was a very promising project but it was eventually shelved due to the abundance of new technological ideas simultaneously implemented in one boat,” the defense source told Lenta.ru, adding that now the Russian Navy is considering the creation of new robotic nuclear submarines. However, what Western experts have read between the lines was that Russia is preparing to restart the Soviet-era top secret Project 705.”There was no need for the unnamed source to specify that the Russians are going to revive the controversial Lira-class, as the majority of experts have already got it,” Czech journalist Lukáš Visingr noted in his March op-ed for Echo24.cz. For his part, Defense Editor of The National Interest Dave Majumdar wrote in late February that Moscow’s future underwater fleet is about to continue “a trend that was pioneered in the late 1970s by the Soviet Union’s Project 705 Lira-class attack boats,” while commenting on the issue. Why all this fuss over the USSR‘s old Lira-class submarine? “The Soviet Union began the Cold War well behind the United States in submarine technology,” American author and academic Robert Farley narrates in his article for The National Interest. However, Soviet engineers and designers certainly deserved credit for making a giant technological leap. “The result was the Type 705 Lira (known as Alfa in NATO), a submarine that the West regarded as a profound, if short-lived, threat to its undersea dominance,” the US academic underscores. According to Farley, by designing the Lira class the Soviet military pursued two major goals: firstly, they sought to change the character of naval warfare in the North Atlantic and the Arctic; secondly, they wanted to bolster technological development, by implementing innovations that future underwater craft would incorporate. “The Lira class certainly met the second criterion. Following an interim design (the K-162 ‘Papa’-class cruise-missile submarine), the Liras had a titanium hull in order to produce tolerances necessary for high speed and for extreme deep diving. To keep the size of the crew small, the Lira class employed advanced techniques for automating key systems, a decision which also enhanced the combat reaction speed of the crew, although it made at-sea repairs and maintenance extremely difficult,” the academic underscored. 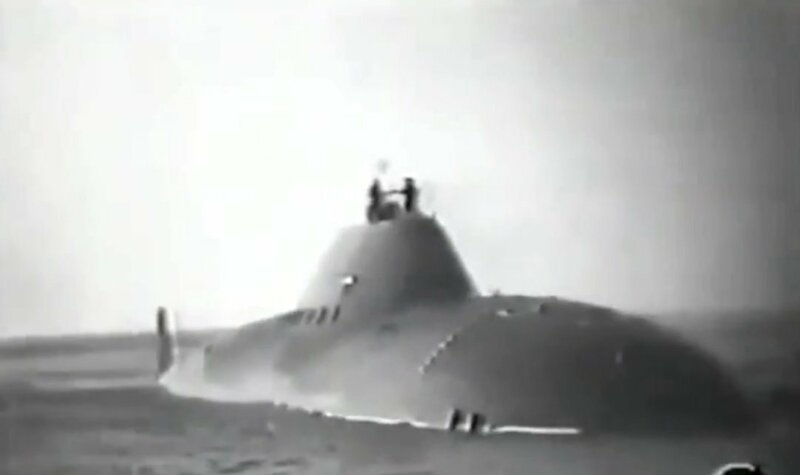 Furthermore, Czech journalist Visingr calls attention to the fact that the Project 705 used a revolutionary liquid-metal-core reactor that allowed the attack submarine to reach the “fantastic” speed of over 41 knots (over 75 km/h) in just one minute. The extremely fast and maneuverable submarine also boasted a very high degree of automation. It is worth mentioning, Visingr notes, that the Lira-class vessel crew always comprised high-professional marine officers. The only exception was a cook. This fact also added to the mystery surrounding the Cold War-era Soviet sub. Since the submarine could operate at the depth of 2,200 feet — “far deeper than any NATO submarine of the time, or today” — it allowed the Lira to evade most contemporary NATO torpedoes, Farley stresses. He notes that although the Soviet boat carried a relatively small weapons arsenal, it still “could wreak havoc on a NATO group without the means to effectively respond.”Predictably, the Alliance took the threat posed by the Lira very seriously: they designed special torpedoes to hunt the elusive boat. They also developed the “Sea Lance” supersonic missile system that was abolished after the end of the Cold War. At the same time the Lira class left service. There is still a lot of controversy surrounding the Cold War-era underwater craft: the Project 705 still receives praise as a breakthrough, while some experts regard the Lira as failure. “But while the Lira was a failure, the technology from those boats paved the way for the later Sierra (Project 945) and Akula-classes (Project 971 Shchuka-B), and ultimately the Project-885 Yasen-class (Severodvinsk-class submarine),” Majumdar noted in his February article. Is the story of the elusive Lira/Alfa really over? “Whether an Alfa successor ever enters service (especially with performance parameters similar to the original class) is an open question,” Farley deems. However, the time will show whether the top secret Project 705 will catch a second wind.